Check out our event spaces below for private parties. You can pick one or combine a few for larger parties. The biggest indoor space we offer, this area provides for an action packed party with 50,o00 watts of audio, a DJ Booth, state of the art dance floor, and private bar. 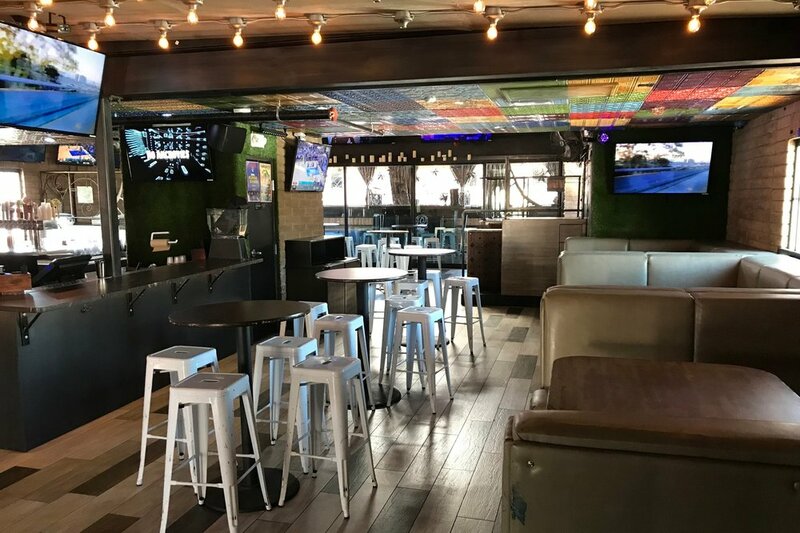 For larger parties this area is the perfect add on to our dance floor space with 3 extra large VIP booths for optimal seating and opens up the full upstairs bar for your private event. Perfect for small get togethers, this space is the best all around package with a warp around booth just steps away from our upstairs bar. This large outdoor area is an optimal space for your next game day viewing party with 4 big screen TV’s and a shade canopy overhead. This private outdoor area is an optimal space to soak up the beautiful Arizona sun while enjoying an elevated street view of University Blvd. We offer over 100 Food, Drink & Add On options! To find out more please fill out the form below and one of our team members will be in touch with you shorty.